What Is Dealspotr? Better Than Swagbucks? Last updated on July 22, 2018 By Nat 10 Comments This post may contain affiliate links. We appreciate you supporting Rags To Niches! Full disclosure here. 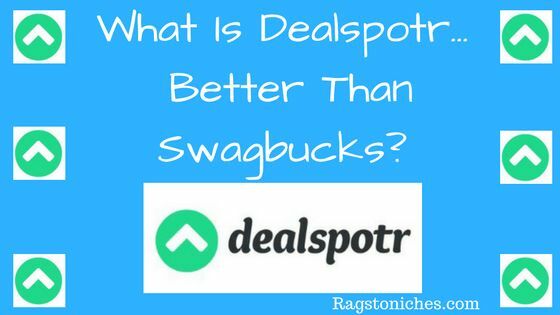 What Is Dealspotr… Is It Better Than Swagbucks? I have recently been introduced to Dealspotr and although it’s a fairly new company, I am impressed by what I’ve seen so far. So, I’m pleased to be able to bring you this Dealspotr review today. *Please note, I am now an influencer on Dealspotr and have been compensated for my review. All opinions are my own. Money making opportunity: Earn giftcards petty quickly! Mini Review: From my own experience so far, I predict this website is going to grow and grow. Points can accumulate quickly, deals are quick to post and there’s a helpful community. You can help Dealspotr grow more by posting your own deals, being part of the community, referring others & earning while you save. Earn a $5 bonus right away by signing up here– You’re already halfway to a $10! Is Dealspotr Anything Like Swagbucks? Dealspotr has occasionally been compared to other money-saving websites, such as Swagbucks. I’m a big fan of Swagbucks, as many of you will know – but, Dealspotr is really totally different. There is MORE than enough room for these two sites to exist happily side by side in cyberspace and for everyone to enjoy them both! Because, how you earn points on each site is very different. These are two completely different websites – the only real similarities are that you earn points for giftcards and they’re both free to join. What I will say is that, since I’ve arrived, I have certainly earned points quicker than I have done on Swagbucks, so it’s worth checking out. I wasn’t sure whether I’d like Dealspotr on arrival – mainly because I was a little confused about what Dealspotr was all about at first. It appeared to involve deals and discounts… but was it a cashback site? Was it a survey related site somehow? Was it a coupon site? After researching further, it did become clear – Dealspotr is primarily a website where you can search for deals and discounts, but also post them and edit them too. The twist is, that Dealspotr pays YOU for posting and validating deals on their website, as well as being an active member within their online community. If you could imagine it, Dealspotr is somewhat of a unique blend between a social network and a couponing website. Dealspotr only just started up in 2015, so they’re just on the way up growth wise. However, they already have over 30,000 members, they’ve saved their members over a million dollars on purchases and they are one of the fastest growing deal sites on the web today. It’s reasonable to say – Dealspotr are doing pretty well so far!! Dealspotr have described themselves as: “The wikipedia of deals,” and I like that definition. Because, not only do members post all the deals available on the website, but they also edit and verify them. Dealspotr post a whole variety of deals – varying from coupon codes, general discounts, sales announcements and individual product discounts. You can personalise your own Dealspotr account by selecting what deals are relevant to you and they can appear in your feed on your profile, somewhat like Facebook. You can also select options from a variety of interests, so that you can control what deals you see in your personal feed. Dealspotr will then make suggestions about which stores you may like to follow. How Do You Earn On Dealspotr? You can earn points on Dealspotr in a variety of ways – although at the present time, the points can only be exchanged into Amazon giftcards. If you’re a Gold level influencer, you can also get paid in paypal, (however, for this you need a blog or website for this, I’ve written a separate post on how you can become an influencer here). So, for every 10,000 points, you make $10. I have been surprised at just how quickly I’ve been clocking up points! You earn points by posting deals that you find – you will earn for every deal you post. You earn by validating deals, (providing proof that the discount is working, such as via a screenshot of your shopping cart). Completing your daily checklist – I LOVE doing this now. This is a little to-do list of tasks, e.g. share a deal on social media, spot a deal, validate a deal. If you complete all the tasks, you generally get 200 points. Refer new members – you can earn 10% of all your referrals earnings, for the lifetime of their membership. I thought I’d share some of the ways that I’ve found are a good way of accumulating points. There was a bit of a learning curve for me when I joined, I was not sure what to do and probably wouldn’t have continued, if I hadn’t have had someone reach out and ask if I needed help. It’s thought that someone who posts their first deal, is much more likely to continue; it is that first deal that’s the big step! After that, it’s easy. When you sign up to Dealspotr here, you will be able to contact me (Rags2N on Dealspotr) for any help posting your first deal if you need. One quick way of getting points is by “spotting,” deals. 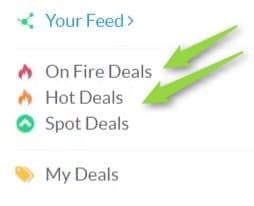 That is, predicting which deals will be popular: which will become, “hot,” or “on fire.” (Dealspotr’s own terms for popular deals). If the item that you spot does become hot or on fire, you earn extra points. You also earn extra points if it’s your deal that becomes this popular. I took a while to post my first deal, I was worried I’d get it wrong – don’t be! After you’ve done a couple, it becomes easy. The other issue I had was finding deals. Validating a deal, means providing some proof that the deal is in working order. To validate a deal, you need to click through to the site in question and just check that the deal is live and working. 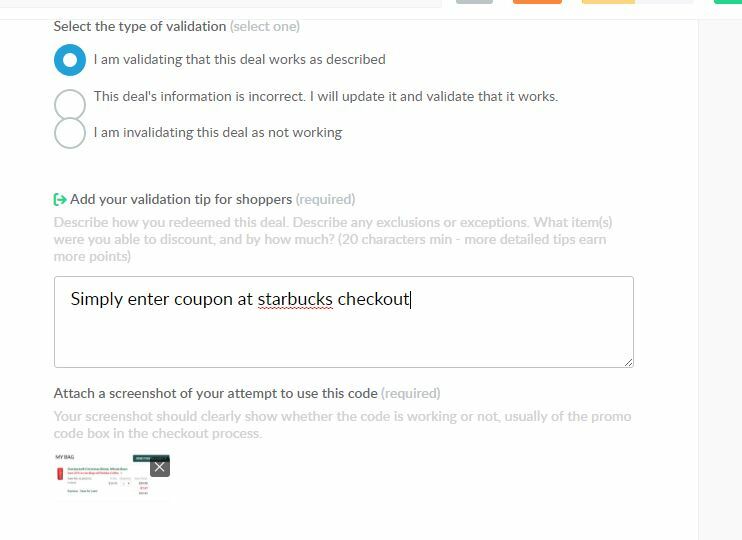 go to the checkout, enter the code and then take a screenshot of the deal working in action. You then upload the image of the proof the deal is working to Dealspotr where prompted to do so and that’s it, the product is validated. validating starbucks deal, uploading proof. If it looks at all complicated or time consuming, it’s not. It should literally take a couple of minutes. And the more you do it, the more effective you will become at doing it. Who doesn’t like saving money and making money at the same time? By sharing this site with your family and friends, you can make additional points too. You can make 10% on whatever points they earn, for as long as they’re members. When you sign up to Dealspotr, you will get an affiliate link that you can share around to anyone you think would be interested. An easy way to find any deals and promotions running, is to check the emails you have coming in from any of your favourite stores. They’ll often have regular coupon codes, sales or discounts running and you can add those to Dealspotr. It’s the same thing with social media, so keep your eyes peeled for any deals or offers than pop up. 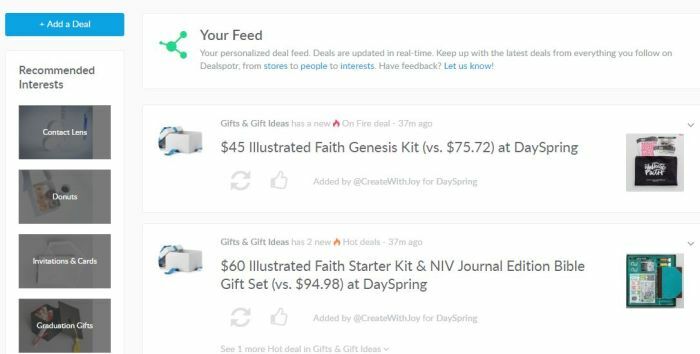 As I mentioned earlier, doing your daily checklist is a great way to make points with Dealspotr. It’s something you could quickly run through first thing in the morning, while you have your morning coffee. It doesn’t take long and that’s an easy 200 points. You gain rewards just for sharing deals and being active in the community. You can earn $5.00 (5,000 points) instantly by signing up via my bonus link here. So, you’ll be halfway to your $10 giftcard already :). The community is very friendly and helpful. Unlike cashback offers, or cost-per-action offers, you do not need to buy anything or sign up to any free trials or services – you can simply share and edit deals in order to earn points. You can help people save money and earn money at the same time! You can customise your favourites, so that you can see deals that are relevant to you. They have a great advanced “influencer” program for people with their own websites or blogs. I will have written a post dedicated to that right here. Influencers can gain extra perks, such as double points and referral bonuses. At the present time, only Amazon giftcards are available as payment. I imagine the payment options will evolve as the site does. Mainly USA based – I’m actually in the UK and there are a lack of deals by comparison, BUT that’s also why we need more new UK members so that we can add more deals – we can also still validate any USA deal and take advantage of all other ways to earn points. Sometimes Dealspotr doesn’t recognise my actions right away. Just a couple of times today, I completed my to-do list – but one of the tasks remained incomplete. This happened before and once I’d logged in the next day, it had registered – but it’s something to be aware of. Dealspotr is a great way to combine saving money, with making a bit of extra cash as you go. If you’re often on the look out for good deals, as I am, why not also earn for doing so at the same time? Once you get the hang of Dealspotr, posting and validating deals is quick and simple to do, the community is very helpful and the rewards are straight forward and quick to earn. Claim your $5 Bonus Here! While making savings online is great, there are ways of making more substantial money online. If you’re keen on earning more money online long term, it’s completely possible to do so. Many people think it requires a lot of investment to make reasonable money online – but it really doesn’t. What it does take is plenty of time, effort, patience – and persistence! If you’d like to learn how to generate an online income & start for free then you can get started here. Alternatively, you may also be interested in my 40 ways to make your first dollar online. I hope you enjoyed this post, let me know how you get on with Dealspotr! I’m actually not the biggest fan of swagbucks personally (gave it a try, wasn’t fond of it for a number of reasons). But this actually does look very interesting to me, so I’ve signed up under your affiliate link. Thanks for this, I’m going to give it a try, I’ll come back in a few months or so after testing it out. Plus I do love me some deal. Thanks for the 5000 points. Hi there, thanks Jaylin – you’re not a fan of swagbucks hey, well I just think there’s not much to not like about gaining points by using their search engine. Primarily, I gain points from swagbucks from cashback and their search engine, which takes no extra time and you get money back. Dealspotr of course, is totally different, you’d need to put some effort in validating and finding deals, but you can find deals at the same time and it’s quite enjoyable once you get the hang of it. 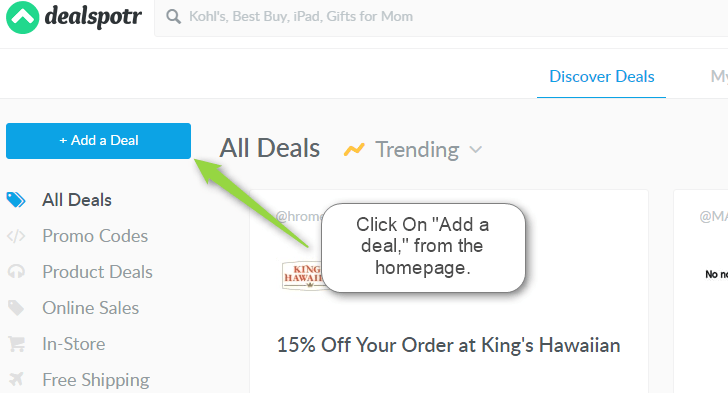 This is interesting that Dealspotr blends the social networking with a couponing website. I have never seen anything like this before. I have heard of swagbucks but it seemed like it wasn’t worth your time for what you actually get out of it. I like the fact that you get referral points for driving new members. In your experience how long does it take to acquire your first 10,000 points or $10? Hi Nat and thanks for sharing. Dealspotr looks an interesting choice for someone who wants to make some extra dollars but I’m from Greece and I don’t think that it’s available here. Anyway, I will take a look inside. Is there any similar program to recommend which gives you more payment options? well, Dealspotr is very unique in the way it’s made out to be a sort of combo between social media/earning and saving related site. My own favourite alternative is definitely Swagbucks – because there are a massive host of giftcards you can choose from and you can also take the money out in cash too. Thanks for your comment! I’d never heard of Dealspotr before but I’m really interested in it now! This seems like such an easy way to make free money. I love that you get points just for posting deals, you don’t even have to buy anything. You’re “cons” list doesn’t seem bad enough to deter anyone from using it! It’s a no brainer really for trying it out – nothing to lose. It’s a decent little money save that’s for sure – from my own perspective, it just needs to have more payment options and also get more people on the UK on there, so that there are more deals that compete with the other big deal sites that are already out there.